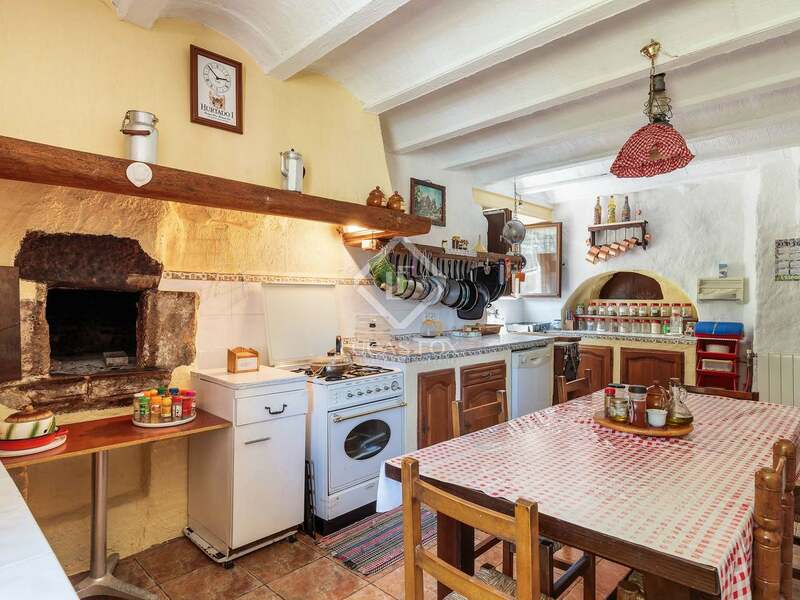 A charming 18th century farmhouse in a unique countryside setting surrounded by outstanding natural beauty. 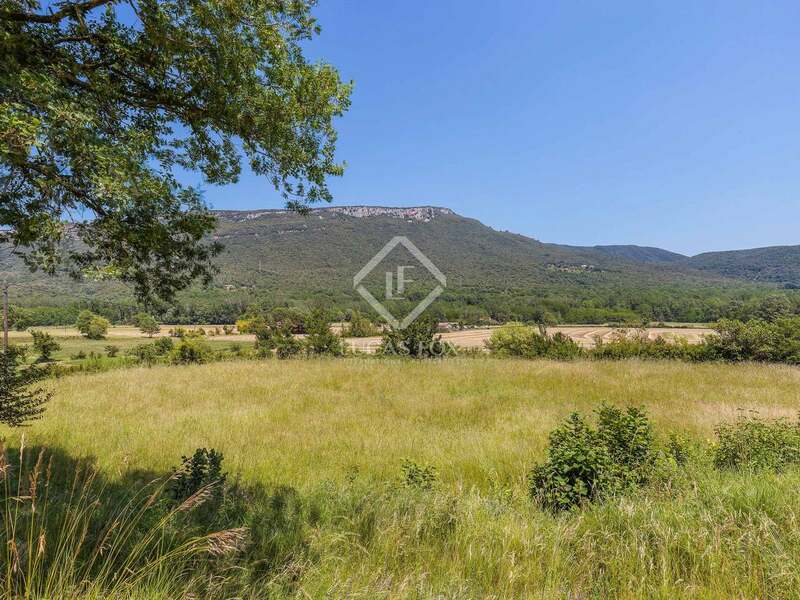 The 30 hectare plot is set on the edge of a stunning valley and combines dense forests and fields that border on a river, three wells provide an ample water supply. 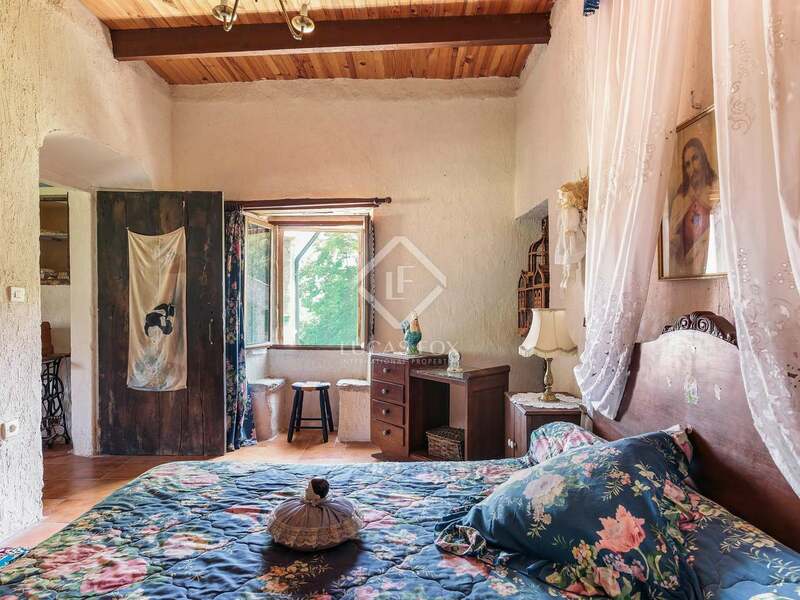 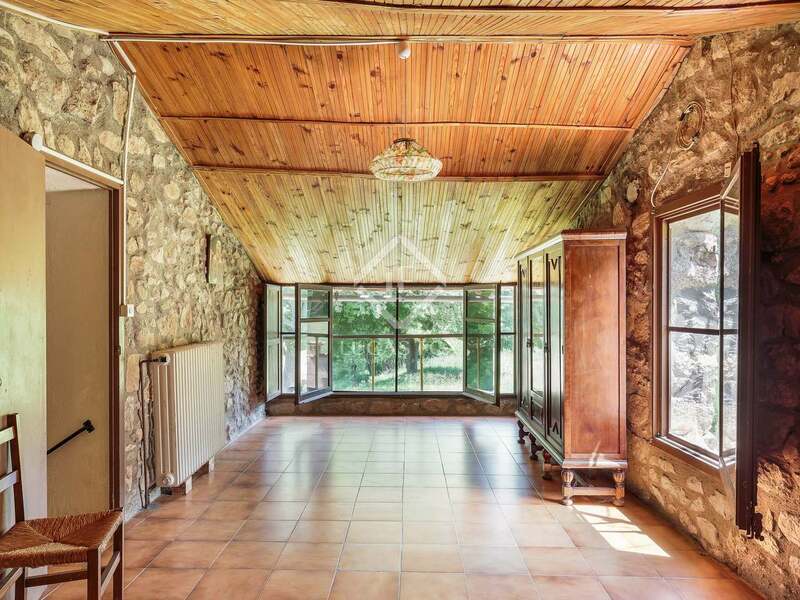 This property offers an exciting project; although it is structurally sound, having been restored 18 years ago, it is in need of interior renovation. 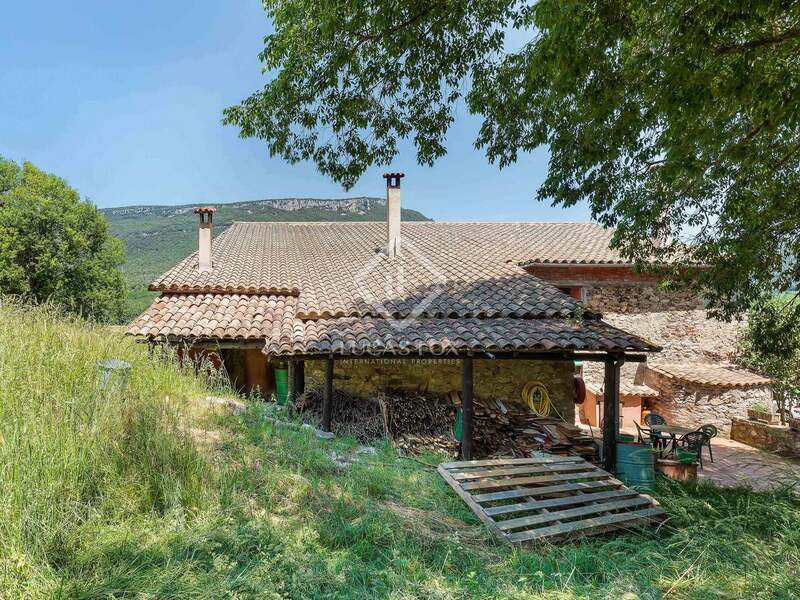 Part of the house is currently habitable with water, electricity and a phone line making it possible to live on-site whilst renovation work is carried out. 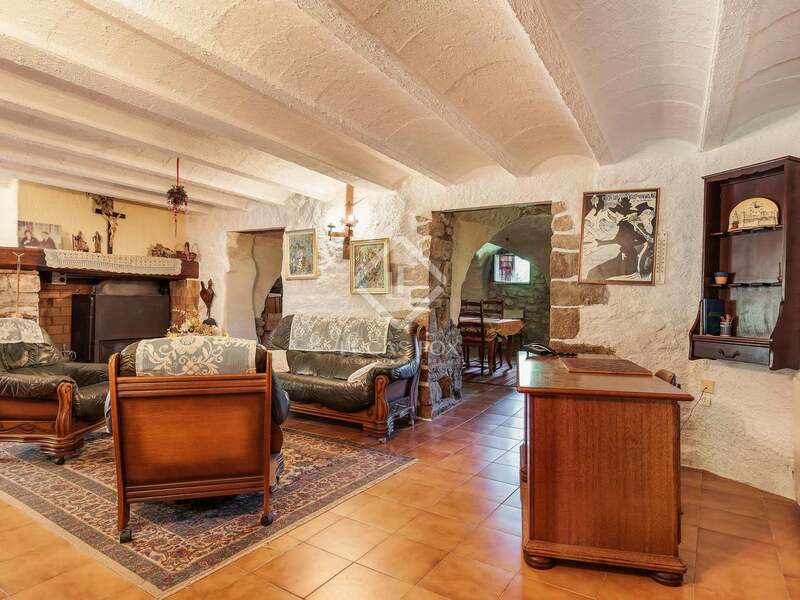 On the ground floor of the main house there is an entrance hall, dining room and a living room with a fireplace all brimming with country charm. 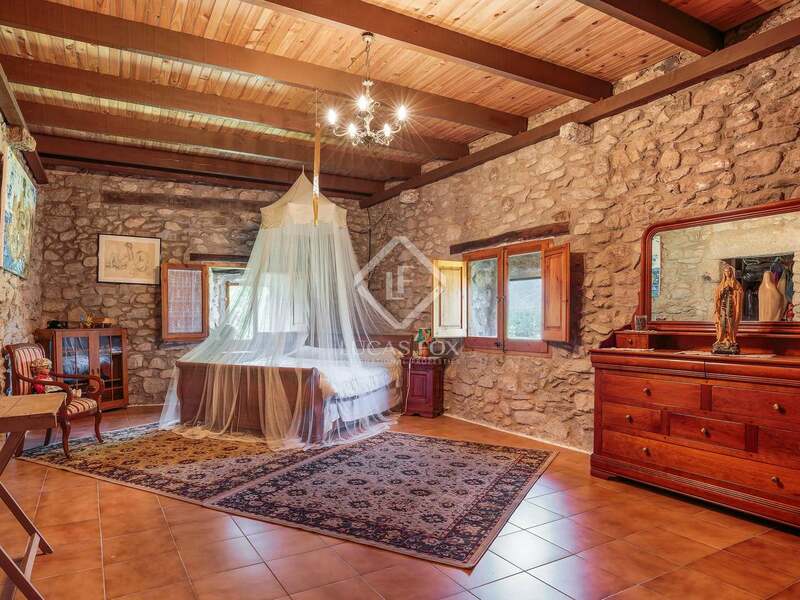 There is also an en-suite bedroom and a large second bedroom on the ground floor. 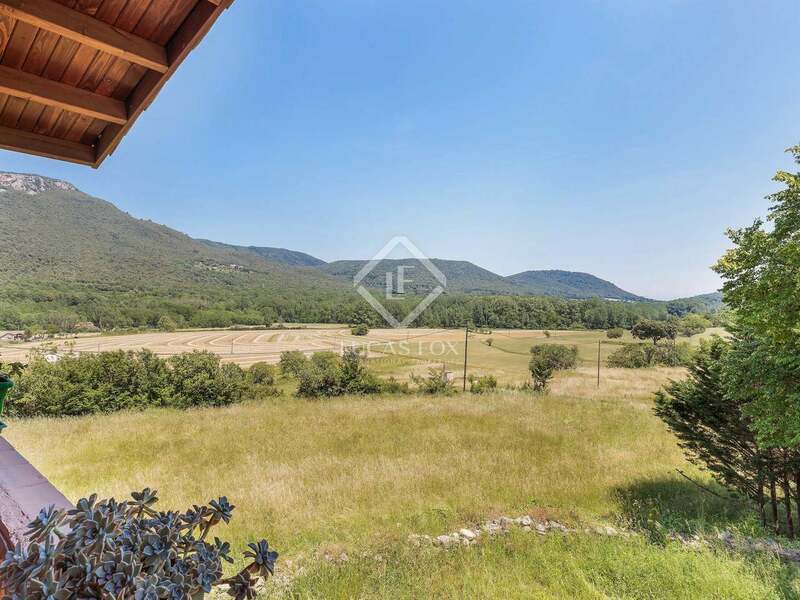 The first floor of the property is comprised of 4 bedrooms, a bathroom, a living room and a large spare room, there is also access to a terrace from this level offering wonderful views of the surrounding countryside. 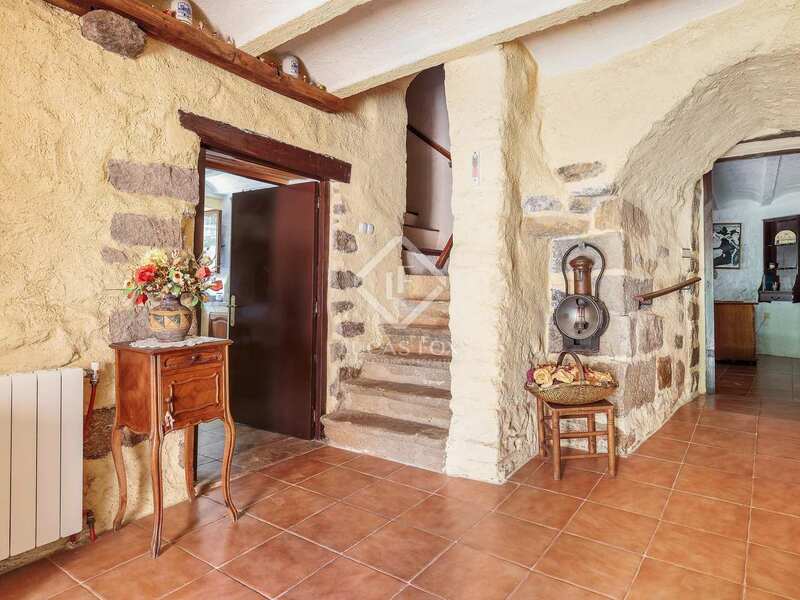 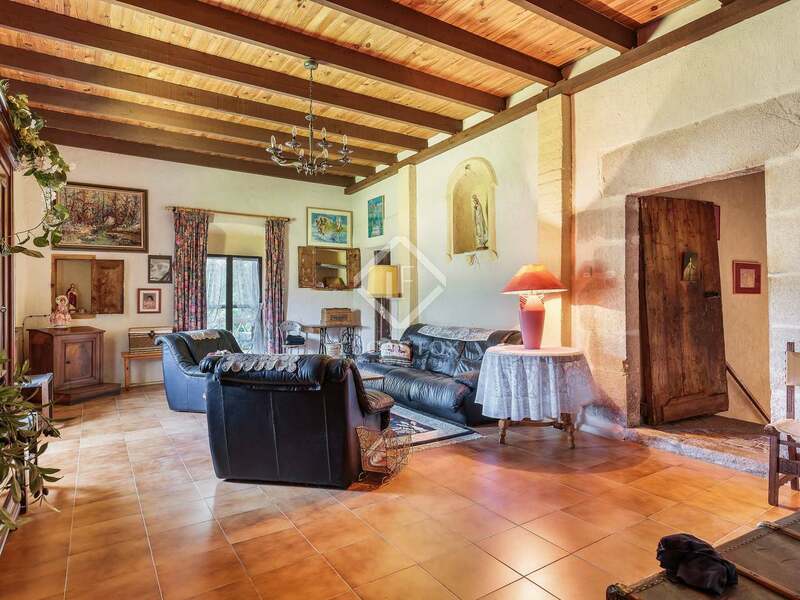 In addition to the main farmhouse with a built size of 530m², there is also a 140m² staff house with a kitchen, bathroom and the living area on the ground floor and 3 bedrooms upstairs. 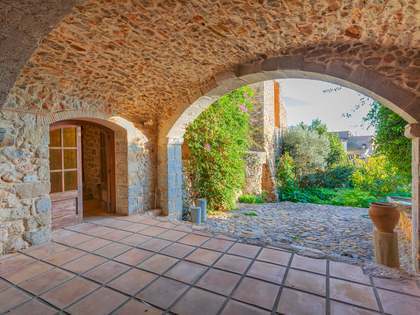 This 18th century country house is a unique opportunity in a setting of unrivalled natural beauty. 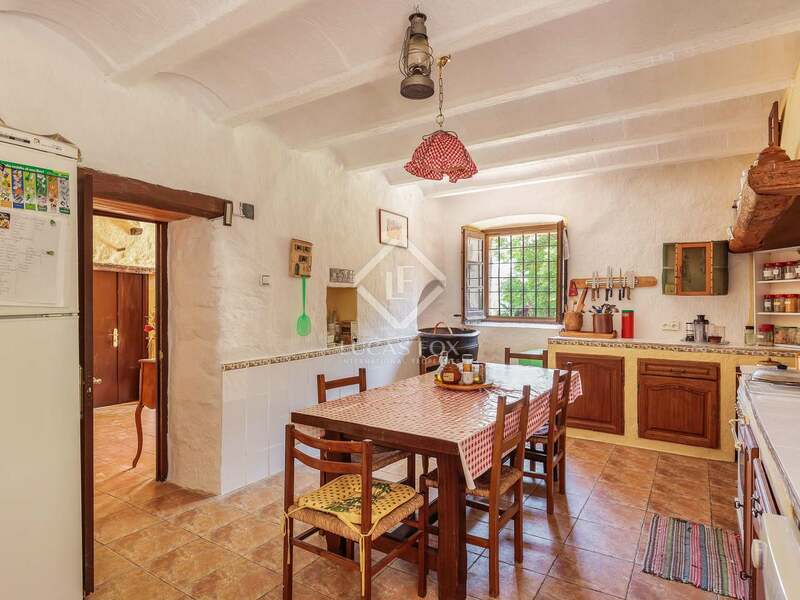 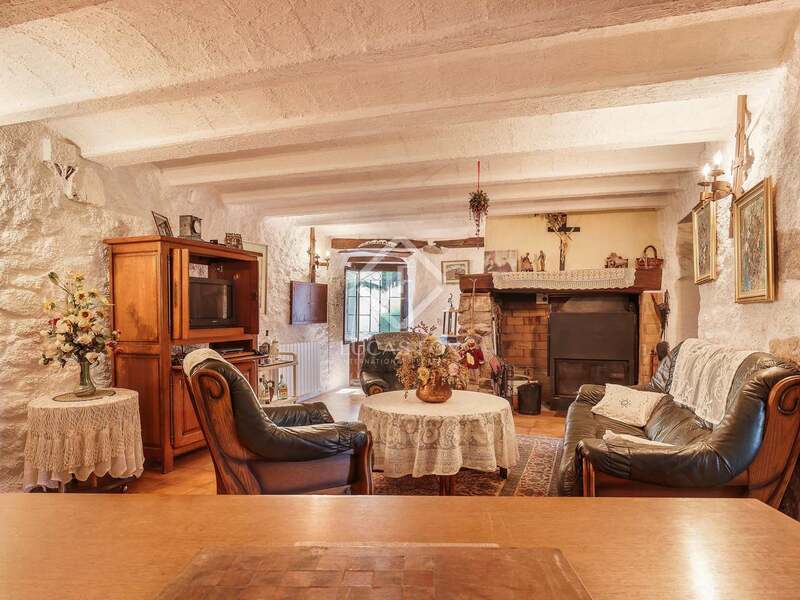 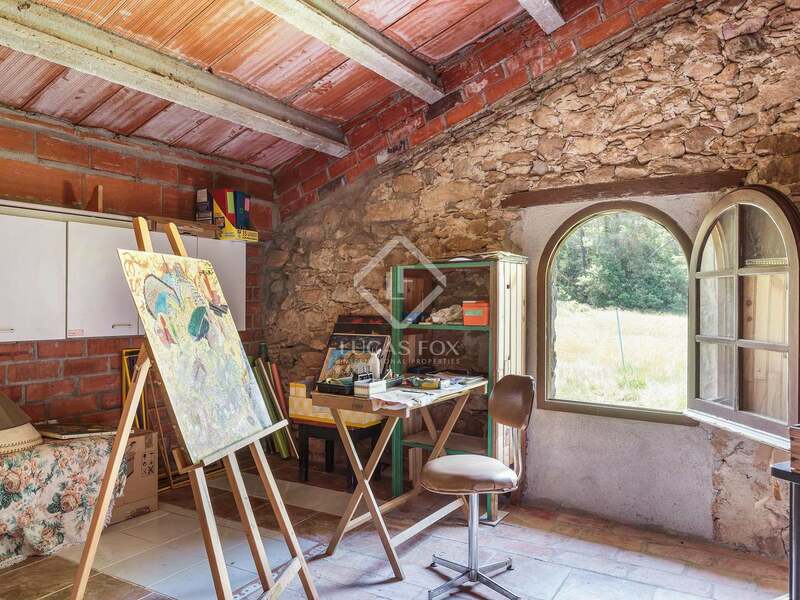 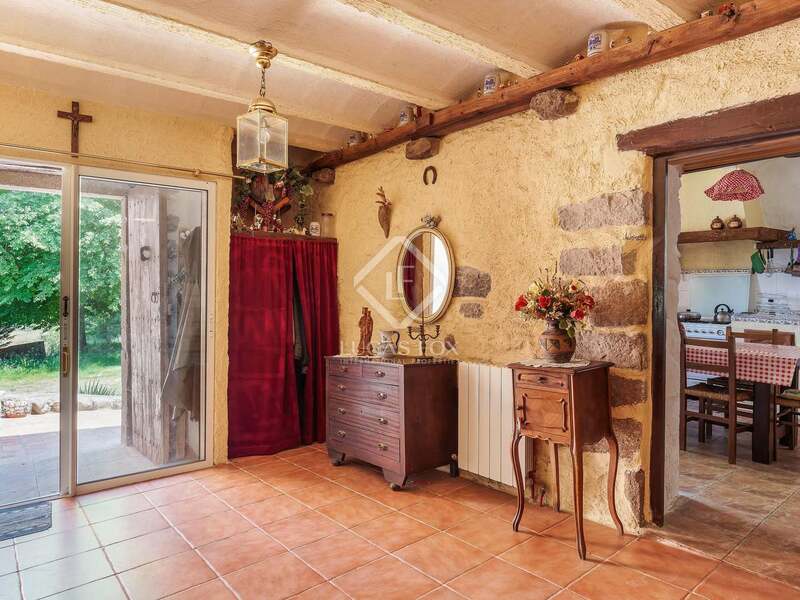 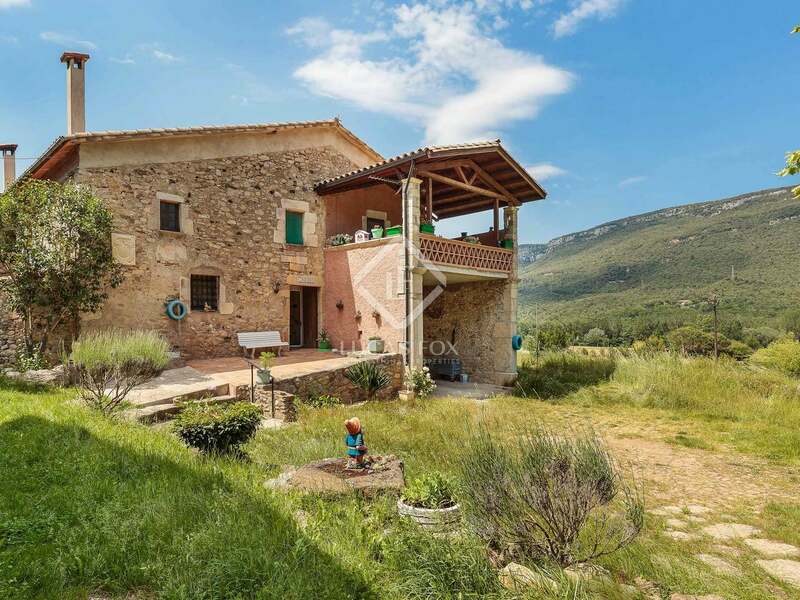 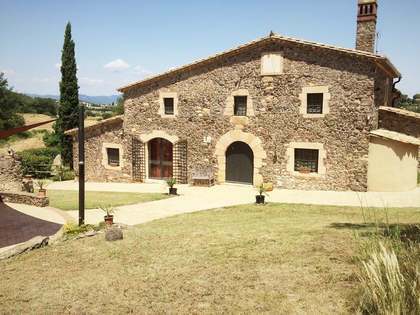 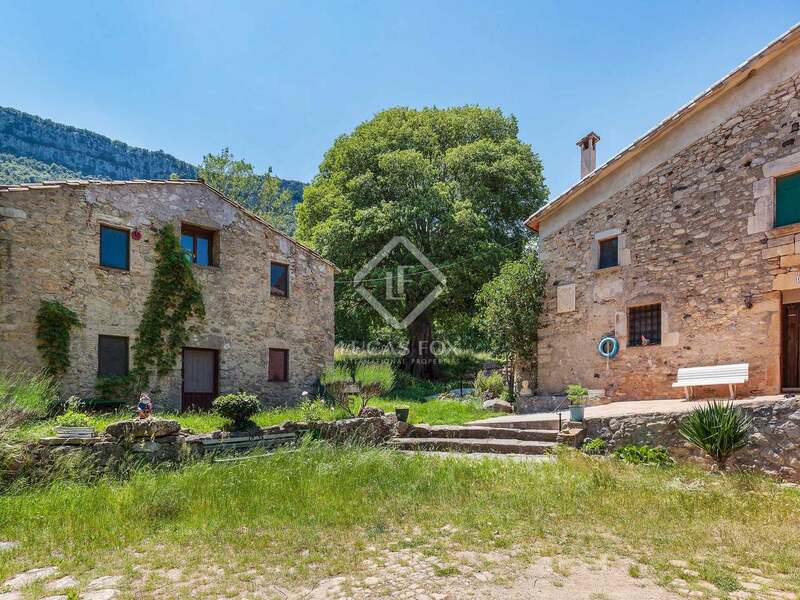 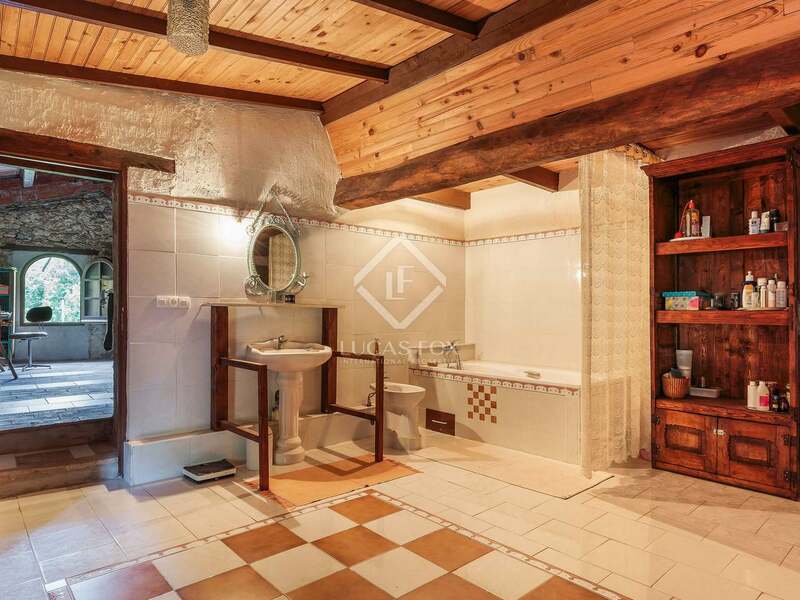 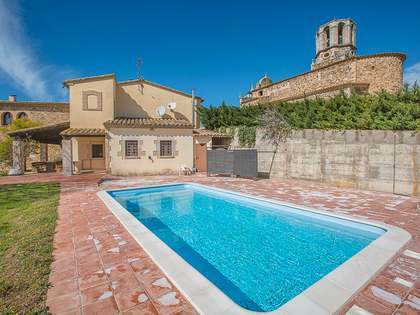 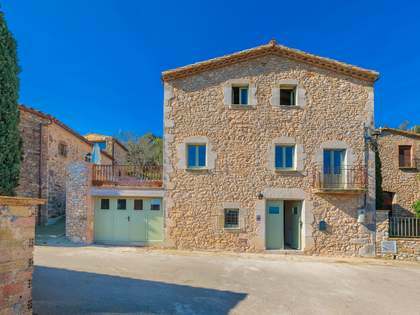 Once renovated this could become a wonderful home or second residence in Girona. 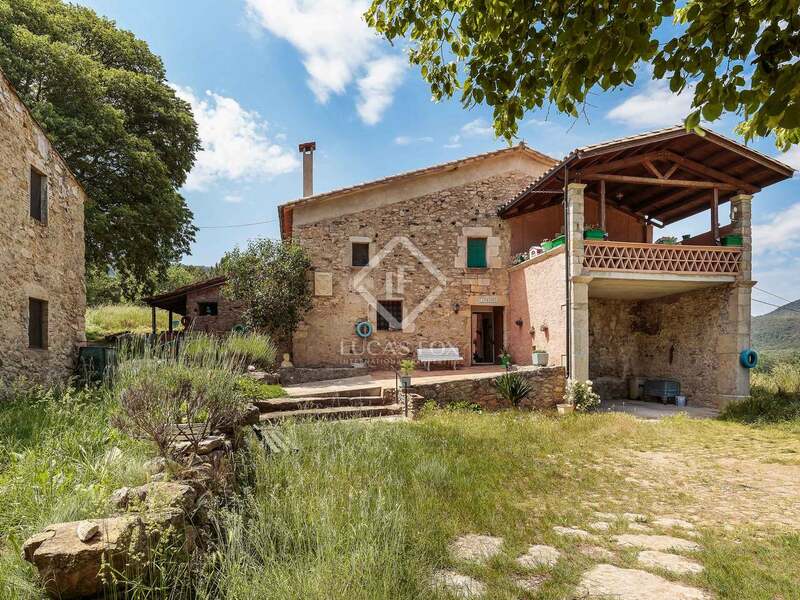 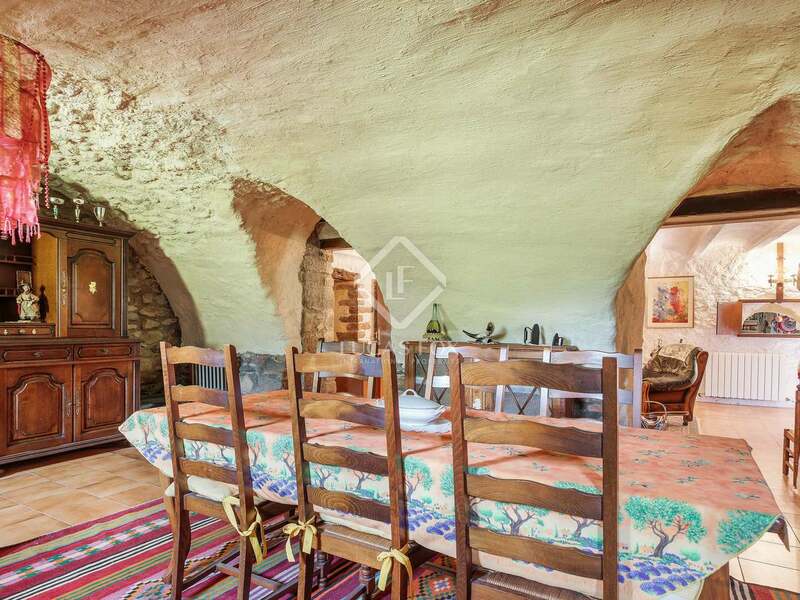 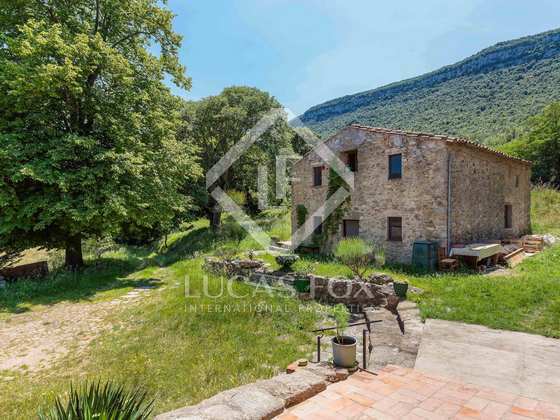 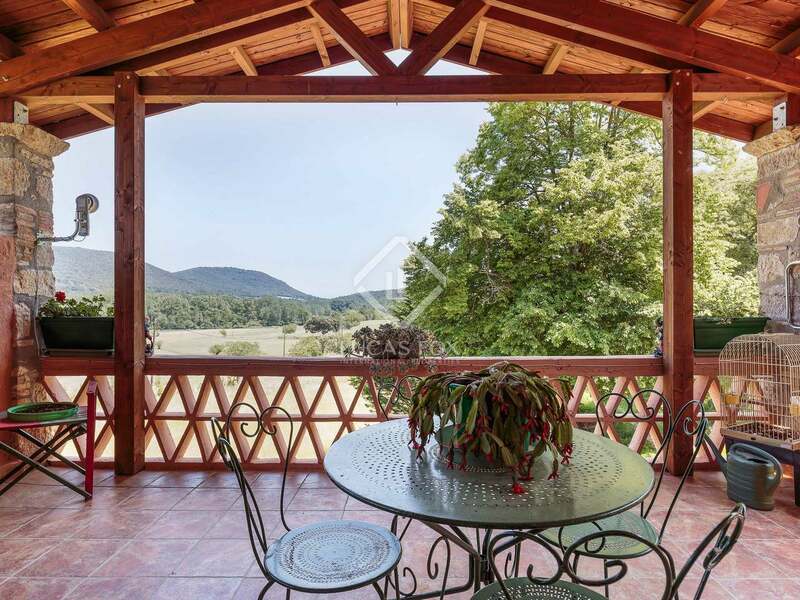 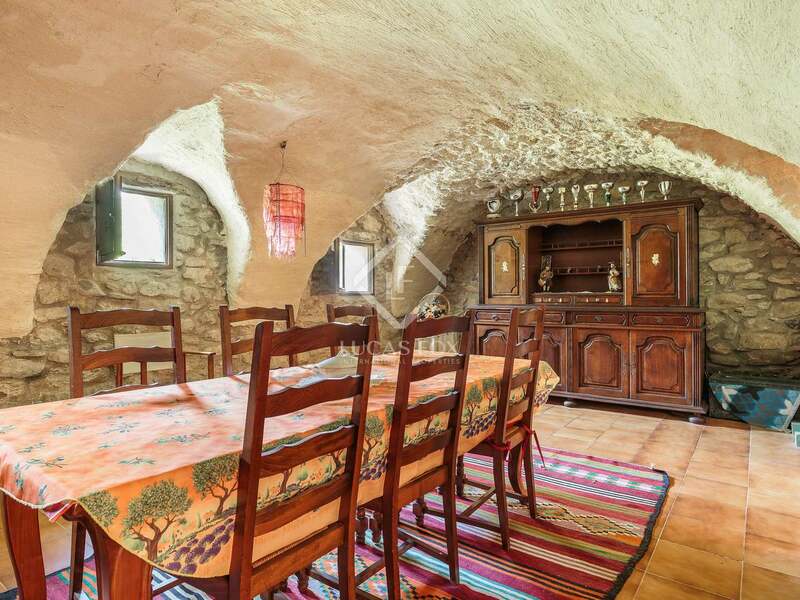 Farmhouse located in stunning natural surroundings, on the edge of a valley and bordering a river. 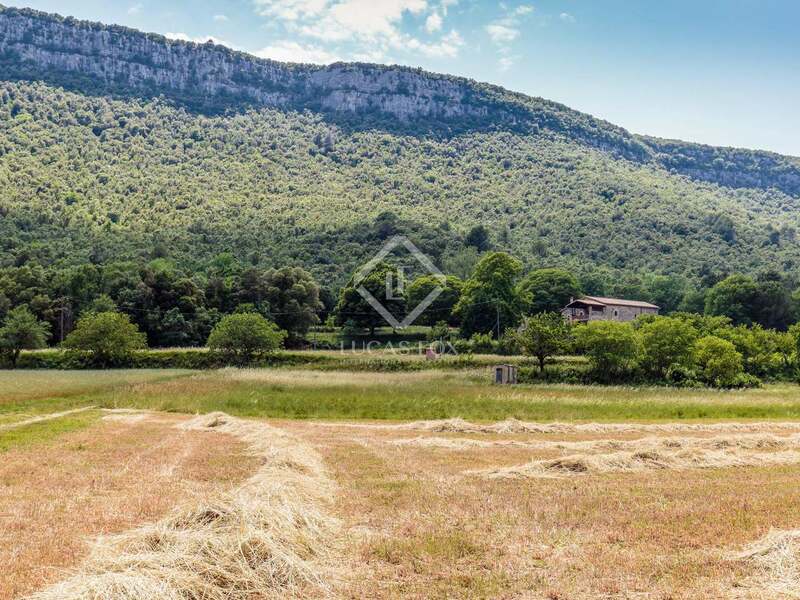 An idyllic setting, the 24 hectare plot includes fields and forests. 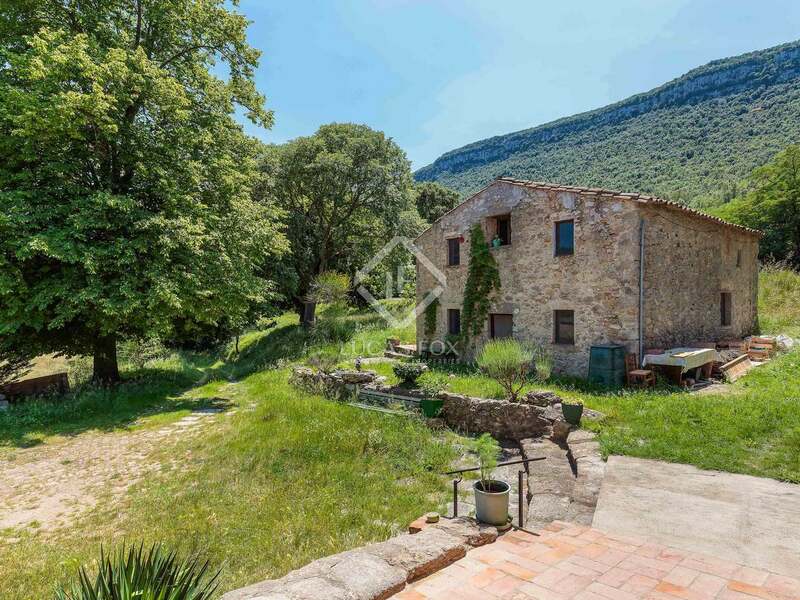 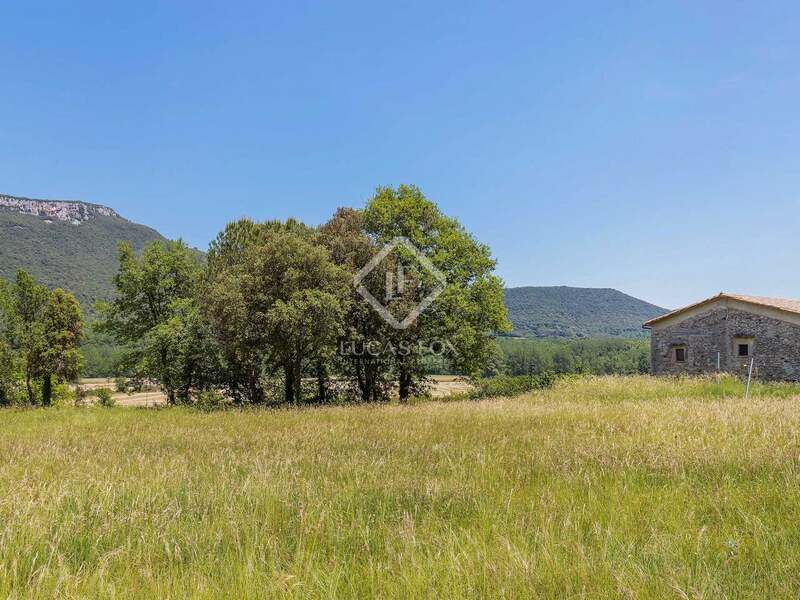 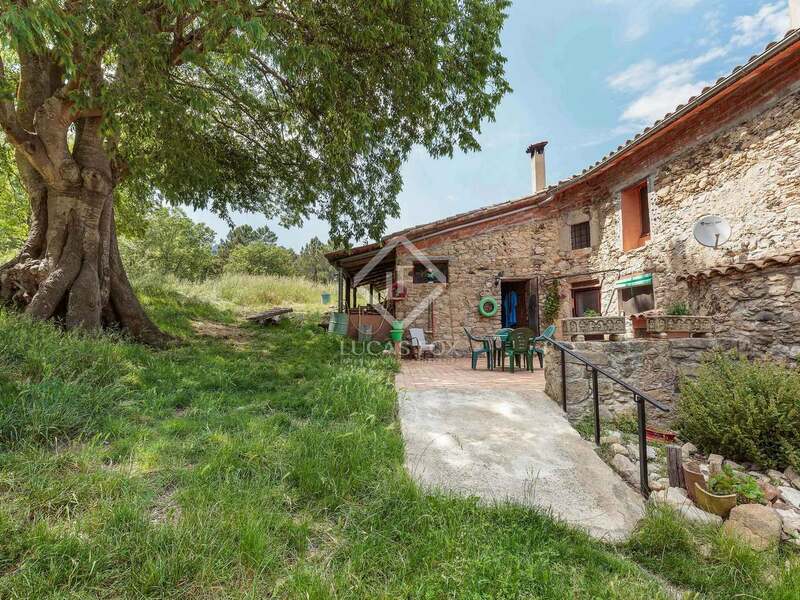 A peaceful, natural location in the Girona region.